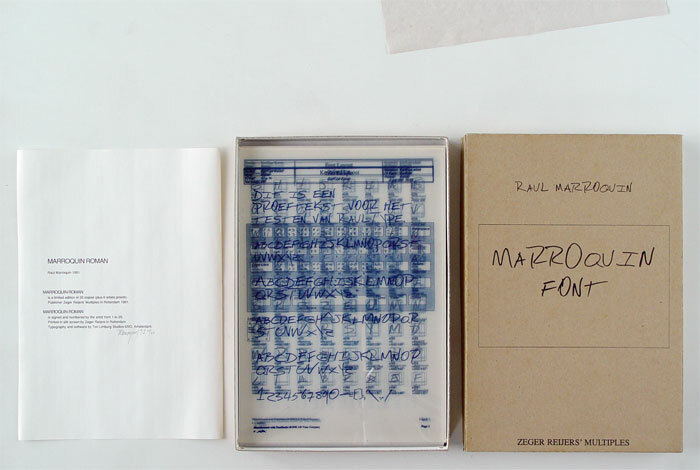 Raúl Marroquin is known for undermining existing structures whether in video art, pop music (with his would-be pop band The Sets) or high-tech stream systems. In 1991 he introduced a new type font and in 1998 his letter innovation was bought by Adobe and integrated in their official typefaces. Later on also Apple Inc. included his font in their standard letter faces. 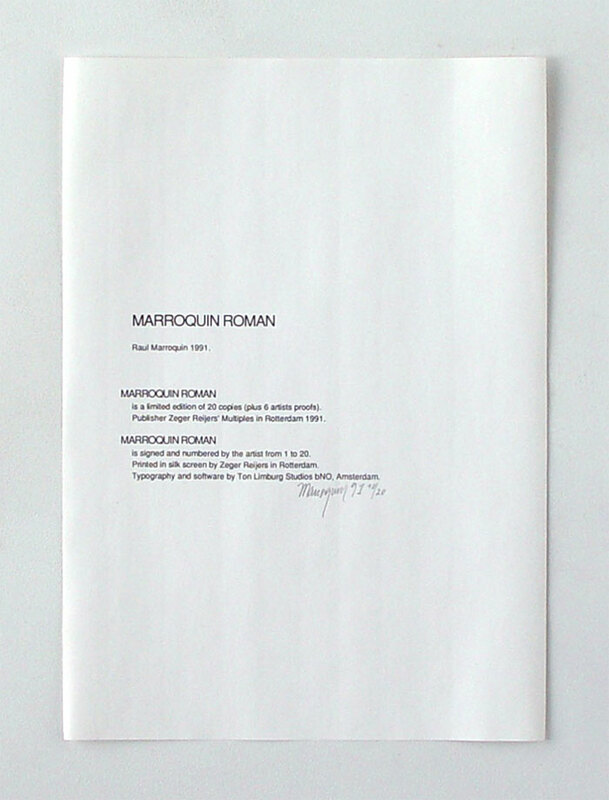 Although the name “Marroquin Font” on the cover of the box suggests the official title, it differs from the name printed on the accompanying and signed certificate. There the multiple is called “Marroquin Roman” referring to the typeface he designed in 1991 as a playful challenge to his friends who would never think of having their names connected to a typographic font. Traditionally a Roman font is provided with serifs, but Marroquin decided to have his without.